The Commercial Services Department at Swansea Metropolitan sponsored an Entrepreneurship Award scheme for students who came up with the most innovative and unique business opportunity, and business-plan that was most likely to be successful in the marketplace. 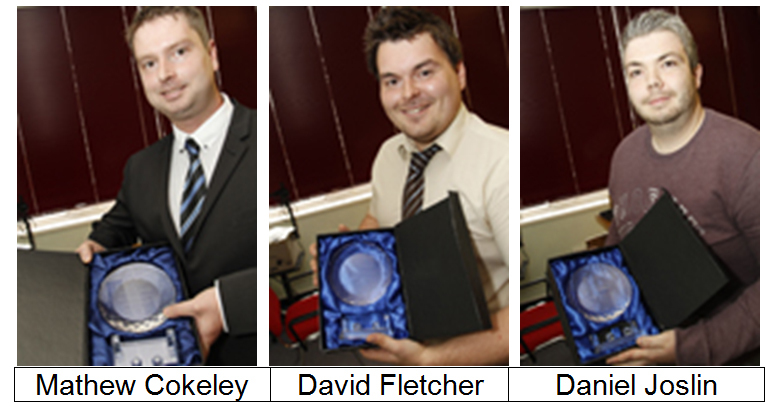 Congratulations to the worthy Winners that included Mathew Cokeley, David Fletcher and Daniel Joslin. In the Wilson Review, which was commissioned by the Westminster Government and announced in the White Paper for Higher Education “Students at the Heart of the System”, Professor Sir Tim Wilson praises Swansea Met and highlights the University’s approaches. SMU achieves over 80 percent student engagement in curriculum-based enterprise activities and takes a national lead in developing and delivering initial teacher training for enterprise and entrepreneurship. The Higher Education Academy, Enterprise Educators UK and the United Nations Conference for Trade and Industry are amongst those who draw upon this expertise.